Accommodation In Category wise Rooms in hotels based on Star Rating. Full Day Sightseeing at Shimla with Kurfi. Full Day Sightseeing at Manali . Pickup And Drop From Delhi/Chandigarh/Amritsar by AC Deluxe Coach/Bus. Meet with SetMyTrip's representative and then We will Proceed to Shimla admirably known as the ‘Queens of Hills’ .Shimla which is former summer capital of British ruled India & now the capital of Himachal Pradesh, is surrounded by the snow capped mountains of Shivalik Mountain Ranges offering some mesmerizing views of the mighty Himalayas.Arrive & Check in the Hotel .Rest of the day is at leisure.Night stay in Shimla. After breakfast and hot tea served at Hotel. You go ahead for your in and around Shimla outing. Your first destination would be Kufri – a tourist attraction 14 Kms from Shimla. Kufri is bestowed with tranquility.Visit Indira Bungalow & the Himalayan Zoo. You can also take a hike or a take a Pony up to Mashu Peak. Next we visit one of the main attraction Viceregal Lodge. The lodge was the home of the British viceroy of India . Afterwards in the beauty of sunset, enjoy a leisure stroll on the Mall Road in Shimla. End your day with a delectable dinner and overnight stay in Hotel. 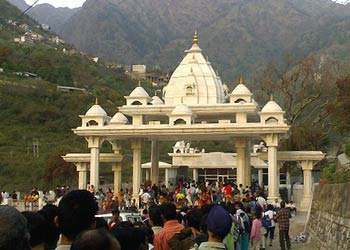 Third day of your tour is scheduled for Manali outing. Post breakfast, get conveyed to Manali. A very popular hill-station and a must visit while in Shimla. Manali is situated at a height of 2050 above the sea level. Drive past Beas-Sutlej Link project, Pandoh Dam & Kullu Valley. On arriving, check-in at the hotel. The rest of the day is at your discretion, you can choose to go for a evening stroll on main market road of Manali. Relish the humming tourist activity, eat local cuisines. Have dinner at night and overnight stay. Enjoy breakfast in Hotel. Post breakfast, get ready to explore the top attractions of Manali. First, we visit an age old temple known as Hadimba Devi Temple, Hadimba was wife of the Bhim ( Pandav Brother). It is said to be more than 450 years old. Hundreds of visitors thronged the temple every day. Next, we visit to Tibetan Monastery, Handicraft Centre.Then you will be taken for a quiet stroll at Old Vashisht village.Visit HPTDC's Hot Bath Complex.You can also have a gentle trek of 3 Km to Jogini Waterfall. Return to the Hotel, have dinner, overnight stay. Fifth day is scheduled for rejoicing the picturesque Solang Valley and famous Snow Point- Rohtang Pass. Solang Valley falls midway between Manali and Rohtang Pass. 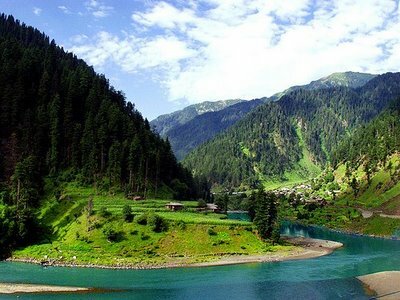 Not only Solang Valley has amazing scenic beauty but also it one of the popular adventure destination for para-gliding and zorbing. Later we head to Rohtang Pass, situated at a height of 3978 m, covered in snow throughout the year and is open for visitors from June to October. It is an absolute pleasure to play with snow here! Explore the snow-laden scenic beauty and return to the Hotel. Have a delectable dinner at Hotel. Overnight Stay. Today is the day we return to Delhi/Amritsar/Chandigarh/Kalka. Before you begin your drive back to Delhi/Amritsar/Chandigarh/Kalka enjoy breakfast with hot tea/coffee. Finish all your check-out formalities.End your trip with some sweet memories to cherish for lifetime.